David Tennant plays John Knox in the Josie Rourke movie directorial debut movie Mary Queen Of Scots. Mary Queen Of Scots is a portrait of the early life of the charismatic Mary Stuart who became Queen Of France at 16 and a widow by her 18th birthday. 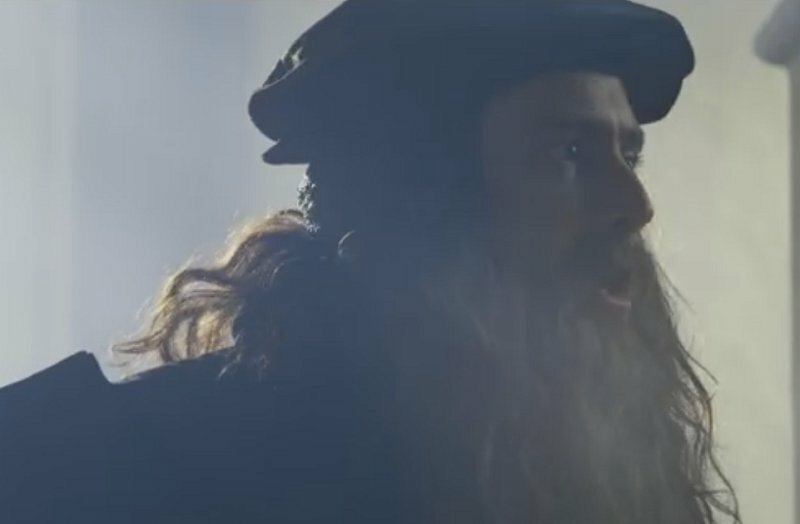 The movie also explores Mary's relationship with Queen Elizabeth I.
John Knox was was a Scottish minister, theologian and writer who was a leader of the country's Reformation and was the founder of the Presbyterian Church of Scotland. In several interviews with Mary Queen Of Scots Knox admonished her for supporting Catholic practices and, when she was imprisoned for her alleged role in the murder of her husband Lord Darnley, Knox openly called for her execution. Originally one newspaper stated that David would play the character of Anthony Babington. Saoirse Ronan stars as Mary Stuart while Margot Robbie plays Elizabeth I. The cast includes Guy Pearce, Brendan Coyle, Martin Compston, Jack Lowden and Joe Alwin. The world premiere date for Mary Queen Of Scots was Thursday 15th November 2018 when the movie closed the American Film Institute Festival. The closing night gala took place at the historic TCL Chinese Theatre in Hollywood, Los Angeles. David did not attend the premiere. The movie was released in the UK on Friday 18th January 2019 after its initial release in the US on Friday 7th December 2018. The UK and European premiere of Mary Queen Of Scots was on Monday 10th December in London. 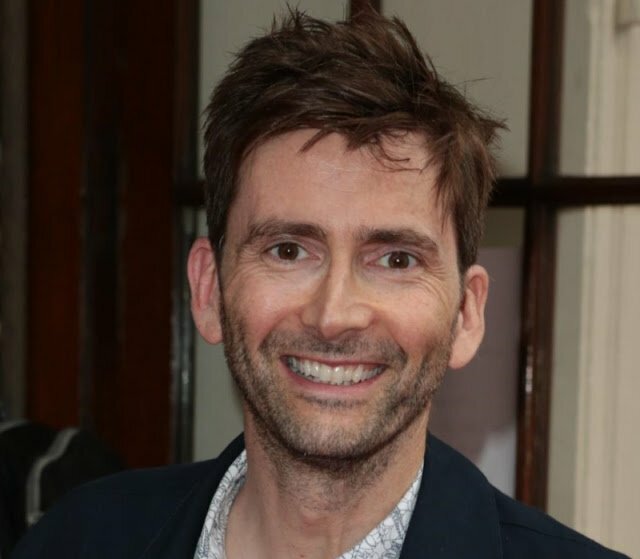 It was held at Cineworld Cinema in Leicester Square and David Tennant attended. Principal photography began on Monday 14th August 2017 in Edinburgh although David was not involved then as he was filming Season Two of Marvel's Jessica Jones. Josie Rourke was the artistic director of Donmar Warehouse and directed David Tennant in the play Much Ado About Nothing in 2011. The movie was produced by Focus Features in collaboration with Working Title. Focus Features will release Mary, Queen Of Scots in the US and Universal Pictures International (UPI) distribute the film internationally. The movie was released on DVD, Blu-ray and digital download in the US in February 2019 and will be released in the same formats in the UK in May 2019. Link to posts related to Mary, Queen Of Scots on Blogger.com (with more detail). The Oscars are announced tonight. The Scottish premiere of Mary Queen Of Scots is tonight at the Cameo Picturehouse on Home Steet after an initial gathering at Edinburgh Castle. Margot Robbie has been nominated for Best Supporting Actress for Mary Queen Of Scots at the BAFTAs. The movie has also been nominated for the Costume Design and Hair And Make-up awards. BehindTheLensOnline reports that director Josie Rourke has some great things to say about David Tennant in Mary Queen Of Scots movie. A Mary Queen Of Scots cast featurette video has been posted online. Variety reports Margot Robbie has been nominated for the Outstanding Performance By A Female Actor In A Supporting Role Award for Mary Queen Of Scots at the SAG Awards. A video of David Tennant speaking about his character in Mary Queen Of Scots at the premiere last night has been posted online. Mary Queen Of Scots has been nominated for both the Best Costume Design Award (Alexandra Byrne) and the Best Hair And Makeup Award at Critics' Choice Awards. Tonight is the UK and European premiere of Mary Queen Of Scots in Leicester Square, London. Mary Queen Of Scots movie has its New York premiere today as screenings start in the US. The UK and European premiere of Mary Queen Of Scots is on Monday 10th December in London. Variety reports that Mary Queen Of Scots has won its first award as Max Richter won the Best Original Score Award at the Hollywood Media In Music Awards. Tickets to see Mary Queen Of Scots in the US are now on sale. The website MaryQueenOfScotsTickets.com has links. A new (international) trailer for Mary Queen Of Scots movie has been posted to YouTube by Universal Pictures Australia and plays worldwide. The world premiere date for Mary Queen Of Scots movie is Thursday 15th November. The movie will close the American Film Institute Festival. The closing night gala will take place at the historic TCL Chinese Theatre in Hollywood, Los Angeles. The US trailer for Mary, Queen Of Scots movie has been posted online. The release of Mary Queen Of Scots has been delayed in the US until December. Mary, Queen Of Scots movie release dates for UK, US, Spain, Sweden and Germany. David Tennant has a role in the movie Mary, Queen Of Scots.